Whether it’s the holiday season, birthdays, Father’s Day, Mother’s Day (Mom might be able to stripe it better than Dad!) or just because, there several times when looking for golf gifts comes up in life. And if you have a golfer in your life (or want to treat yourself), it’s sometimes hard to find that perfect gift. We decided to compile some of the best in golf tech, golf instruction, and golf gear to help find a good place to start looking for golf gifts. There is an endless oasis of golf training aids, golf gear and golf tech that hits the golf industry year after year. So with that in mind, there comes an endless list of options for golf gifts. So how do you know which golf gifts are going to be a hit, and which might end up in the back of a closet? Here are some proven winners that we have come across that we would recommend as golf gifts for any person. Bushnell is the leader in the golf industry when it comes to rangefinders, hands down. If 97% of Tour Professionals trust the Bushnell Golf brand with their yardages, why wouldn’t you do the same? In terms of guaranteed winners for golf gifts, Bushnell Rangefinders take the cake in spades. Every year, we here at USGolfTV have the opportunity to test and use Bushnell Golf products, and every year we think the same thing: How can they possibly top last year? And every year, we get our answer. The latest rangefinder is the Bushnell Hybrid GPS Laser Rangefinder, which takes a backseat to nobody when it comes to loaded features. You can read our full review here. If you want a slam dunk golf gift, this is the one. The Bushnell iON2 is yet another proven winner from a proven brand, and one of our favorite choices for golf gifts. If the Bushnell X2 is the winner for more avid and serious golfers, the Bushnell iON2 wins for the rest of us. Read our Bushnell iON2 review here. If you ever wanted to know more about golf lag (and how it can actually hurt overall distance), then you should get your hands on an Orange Whip Trainer. In fact, we even use it to help golfers understand the cause and effect of golf lag. The Orange Whip Trainer is a simple swing trainer designed with a weighted ball at the end. The patented shaft is flexible to help you work on your rhythm, and the counterbalance on the top of the grip work together to help you understand more about how your swing works for or against you. This simple yet effective swing trainer is one of the best golf gifts for golfers who maybe just need to understand a little more about rhythm and tempo in their golf swings. We have been using the Swing Caddie SC200 for about 2 years now, and at first we were a little skeptical as well. The high-end launch monitors we use on a regular basis cost well over $10,000. So how can a portable launch monitor be this affordable AND accurate? Well, as you can see from the field test above, the results are pretty impressive. The Swing Caddie SC200 really does deliver on being an accurate portable launch monitor at an affordable price. Yes, you get a lot more information from the high-end units. But if you are looking for some basic key stats, the Swing Caddie SC200 is a great option. Measuring swing speed, ball speed, carry and total distance as well as smash factor, the SC200 is a great gift for lots of golfers. Live View Plus is a new product to us at USGolfTV, but it is an instant winner in our own teaching, and will be a winner in terms of golf gifts. Live View made the 2018 Golf Digest Hot List, and it doesn’t take long with the unit to understand why. This Digital Swing Mirror is like having another set of eyes for your golf swing. You can purchase a Live View Plus here. If you haven’t already heard of Live View Golf, you will soon. This pocket-sized device enables you to watch your own swing in real time on your tablet or smart phone. Using Live View is like swinging in front of a mirror . . . except you can practice anywhere and you can watch an instant slow motion replay. Lessons can be one of the most effective golf gifts you can buy to help you play your best golf. Unfortunately paying for instruction does come with a price. Fortunately, there are several options at every price point to help you find instruction to help your game at a price that doesn’t break the bank. 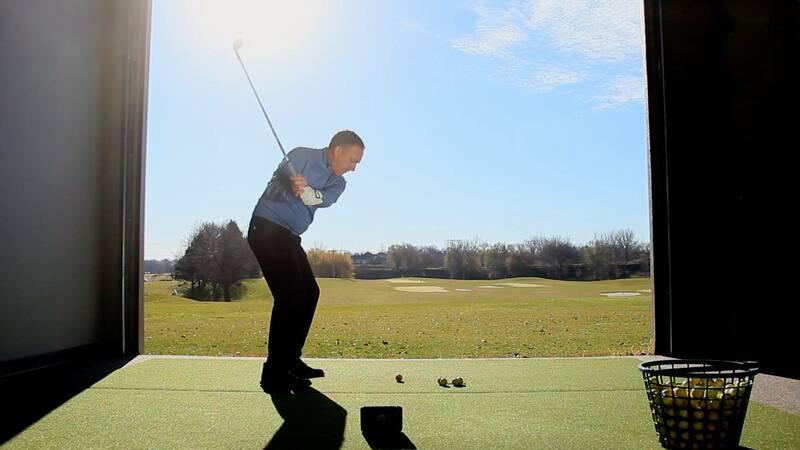 If you like a more traditional, in-person learning experience, golf lessons are always a good idea for a golf gift. There are many different options to keep in mind, from lesson packages, seminars and golf schools to individual sessions as well. Obviously if money is a big constraint, some of the group lessons tend to help cushion the price. But if you really want to get your game to that next level, finding some form of golf instruction can be very effective. It can be a helpful tool beyond buying a training aid that may or may not actually help a problem you have with your game. Golf gifts can go beyond just simple swing tips, though. You can get a more well-rounded, effective and efficient golf game by checking out a golf performance program package like the ones offered by our friends at the Sanford POWER Golf Academy. Their POWER programs help you better your golf game through strength and conditioning training and nutrition consults. Not only that, but you get first-hand interaction with 3D swing capture, ball-flight analysis with Flightscope launch monitors, and comprehensive swing breakdowns from some of the best and brightest minds in the industry that the region has to offer. So whether you are recovering from an injury, are aging and have limited mobility, or have a youth who could use knowledge in their swing mechanics, Sanford POWER has you covered. We here at USGolfTV have a dedicated article that breaks down several online golf instruction options. Each of these online golf courses seeks to solve a specific problem. Any one of these would be excellent golf gifts for the average golfer looking to improve. Whether it’s about improving an area of your game or the way you approach golf altogether. And each instructor has his own theory about the best way to solve those problems. In fact, if you are in the market for instruction, but need a more cost-effective option, online golf instruction is probably your best route. In fact, we here at USGolfTV have a comprehensive program on one of the biggest problems most amateurs fight for years: the dreaded golf slice. Tour Draw is a proven online training program that takes you through every aspect of the golf slice. From understanding what used to be taught (that was dead wrong) to what we now know, Tour Draw goes into multiple avenues to help you fix your golf slice. With sections covering the standard Tour Draw setup, to warmup drills and swing technique, to getting the most out of your new high draw with Tour Draw Bombs. Imagine hitting the ball straighter AND farther with one program! And the best part about Tour Draw: it’s all online, so you get INSTANT ACCESS and can take it with you to the range! If you still worry about finding the right golf gifts for the golfer in your life, there’s always the tried-and-true gift card. Our friends over at Austad’s Golf have multiple brick and mortar store locations and a wide selection of online golf equipment to help anyone find the right golf gifts. And if you are really serious about golf, giving the gift of an Austad’s Tour Fitting Experience could be the best gift of all. Chances are good that if you are looking for golf gifts and happen to watch the Golf Channel, you have seen your share of products peddled in commercials. Whether it was the Square Strike Wedge or Teeless Driver from this year, the GX-7 Metal or c3i Wedge or xe1 Wedge from last year, or whatever is hot next year, understand what they are selling. The clubs they sell are generally mass-produced to fit a broad scope of higher handicap golfers. So if you really want the clubs to perform like they promise (and you hope), you may be shelling out extra money to get it fitted to your game. Not to say these products will not help, because we have heard both sides on each of these clubs. Just understand if any of them really were miracle clubs, they would not go away after a year or two in favor of some new hot model from someone else. They would probably update it and resell or repackage it instead. Each one of these clubs does have its place and is marketed because it will sell and perform, but just know that it may not perform for you like it does for the person in the commercial. And if you are a single digit handicap, these clubs probably are not the golf gifts you should be buying for yourselves. Now, brands like Titleist, TaylorMade, Ping and others spend millions of dollars to market their products to consumers. While we aren’t reviewing the big names in this article, you can go check out some great reviews on clubs from our friends over at Golfers Authority. They can be great golf gifts too, but usually brand affiliation wins out in those cases. We don’t expect to get a TItleist guy to switch to the Taylormade M4, so we figure it best not to try! Instead, hopefully this list gives you a good idea (or two) on some great golf gifts that we have personally used and recommend. If you have a product that you swear by, drop us a line in the comments! We always love to hear from our readers and viewers. And remember to follow us Facebook, Twitter and Instagram for more tips and tricks to transform your game. Our primary goal is always to help you play better golf. And for insightful video tips, subscribe to our YouTube channel!